Do you love photography? Have you ever done photo editing? If you have a great eye for photography sells, then Shutterstock may be a promising non phone work at home opportunity. Shutterstock is a stock photo sharing site that makes money by selling pictures to the ones who need them for blogs, e-book covers, websites, and other photo projects. Shutterstock provides a wide selection of quality photo images to help attract customers to a website. To ensure customer satisfaction, Shutterstock uses freelance workers to inspect each image that gets posted to the website. 1. Enjoying photography as an image reviewer for Shutterstock. For this type of work to supplement your income, you must know when a photo is high quality and when it’s not. In most cases, you will deal with a significant amount of low quality photos. 2. Must have strong knowledge of the stock photo collection is another quality Shutterstock requires from their freelance image reviewers. Work a minimum of 25-30 hours per week, including 5 hours on the weekend. Note: After applying, Shutterstock will run a computer speed test requiring a download speed of 25mbps. Shutterstock pays for every image you review. The amount was last reported In 2011 at $0.05 per image reviewed. There have been no recent updates to the rate of pay. While it’s true that many enjoy the flexible hours while doing image reviewing for Shutterstock, you should only consider this as a part-time job. Shutterstock has expectations, and if you know you can't commit to working at least 25-30 hours every week with 5 hours on the weekend, you shouldn’t apply. 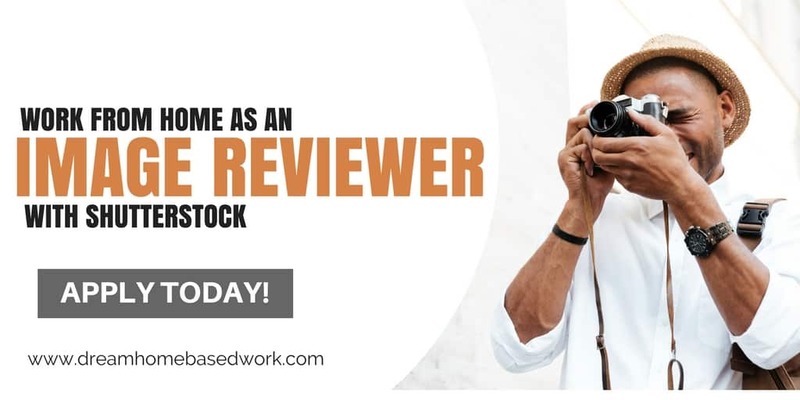 If you interested in applying with Shutterstock, consider heading over to their official website and applying to work as one of their image reviewers.